All that glitters is not gold, but evidently superstar Shah Rukh Khan isn’t one to endorse that saying; why else would he demand more cash to embellish his Dh822,000 superhero costume? 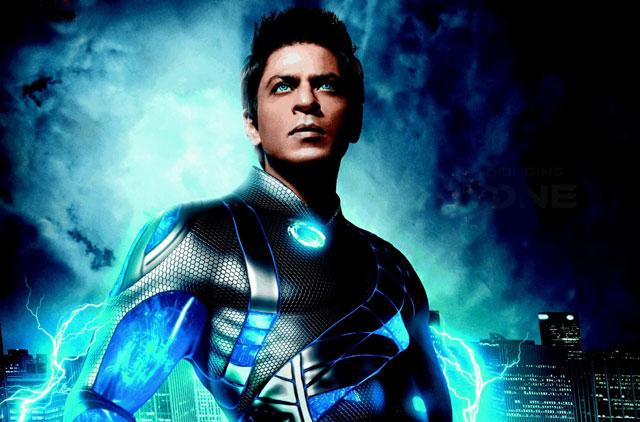 With Hollywood superheroes Spider-Man and Superman gunning for the box office top spot this year and next, it appears that SRK’s feeling the heat and wants his superhero debut in Ra.One to be pretty spectacular. And clearly, he hopes an extravagant suit for his super-power act will make that dream come true. Our source spilled how SRK wasn’t impressed with his Dh822,000 blue-coloured bodysuit, which was shipped over from Hollywood, after he watched the rushes of the 3D action flick, insisting the tech team invest in a computer-generated graphic embellishment to spruce things up. “Quite the perfectionist, SRK doesn’t want to compromise on any front,” said our informer. And since his character is made of electricity, the technical team is also working on lighting up his outfit digitally. Directed by Anubhav Singh, this SRK-Kareena Kapoor flicks comes in at a whopping Dh123 million, making it the most expensive Indian film to date. Wonder if SRK’s money power will light up his box-office run with this super-bright makeover. Fingers crossed!